SOUTH Fremantle will look for just its third NAIDOC Week victory over Claremont this Saturday at Fremantle Community Bank Oval and to earn a measure of revenge for six weeks ago in what is also the 150th game for Ryan Cook. South Fremantle and Claremont began the NAIDOC Week concept in the WAFL back in 2007 by playing off for the Jimmy Melbourne Cup and with both teams wearing specially designed Indigenous themed jumpers to mark the occasions. 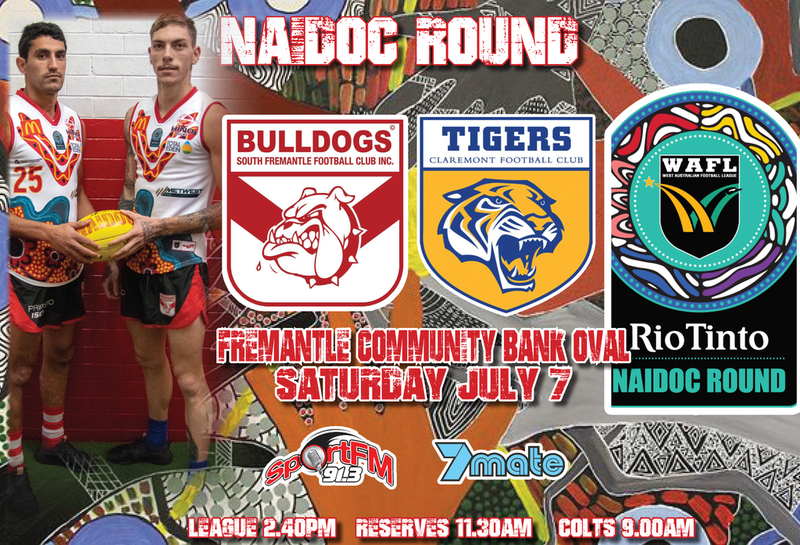 They have continued to do it every year since and will clash for the 12th time in NAIDOC Week this Saturday at Fremantle Community Bank Oval in what is an important game for both clubs. Claremont has won nine of the previous 11 battles over the Jimmy Melbourne Cup since 2007 with South Fremantle's lone wins coming in 2009 by 78 points and last year by 25 points. It has been an occasion dominated by the Tigers over the years but the Bulldogs have done well against Claremont in recent times until six weeks ago when the Tigers came to the port and took home a six-point win to break a four-match losing slide against South Fremantle. South Fremantle has responded well to that loss aside from another six-point defeat at the hands of Perth in Round 10. The Bulldogs have beaten East Fremantle by 73 points, Peel by 35 and East Perth by 21 either side of that. That sees South Fremantle solid in second position on the WAFL ladder with an 8-3 record to be a game and percentage clear of the third placed West Perth, with a game in hand as well. Another win on Saturday for the Bulldogs and that second position becomes further secure with the added incentive of celebrating the 150th game of former captain Ryan Cook. 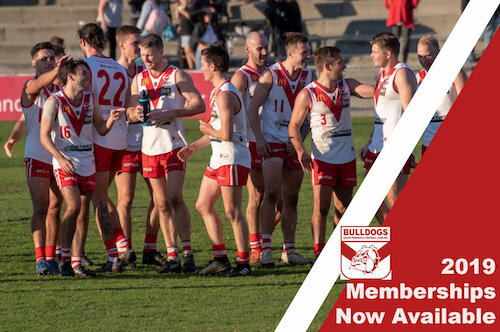 Cook will earn life membership with the milestone on Saturday having already had a career that sees him as South Fremantle's longest-ever serving captain on top of winning two fairest and best awards and playing for the WAFL State Team on six occasions. Claremont, though, is in its best patch of form for the season as well and it all started with that Round 8 win over South Fremantle that stopped a four-game losing run. 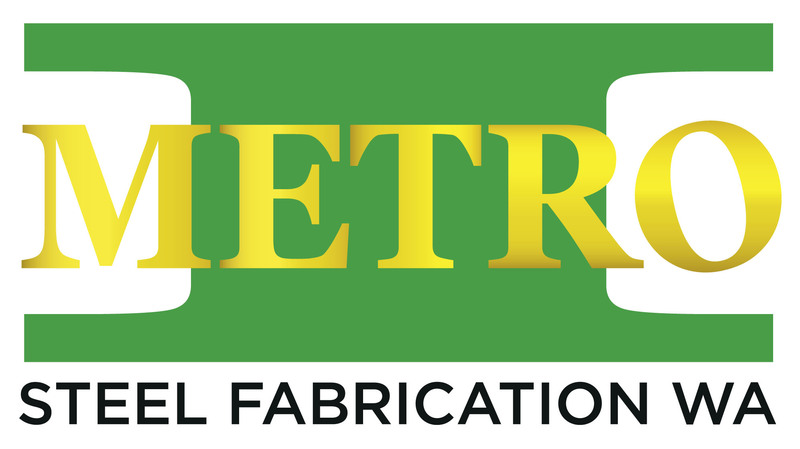 They have suffered losses to Peel and West Perth since, only by a combined 12 points, while beating Swan Districts by 20 points, East Perth by 32 and East Fremantle by 20. That sees the Tigers having improved to a 5-7 record on the season to now sit in fifth position and they will remain in the top five with another win on Saturday against South Fremantle at Fremantle Community Bank Oval. Both teams will again wear specially designed jumpers to celebrate the occasion with South Fremantle's design created by former player Jermaine Miller-Lewis. 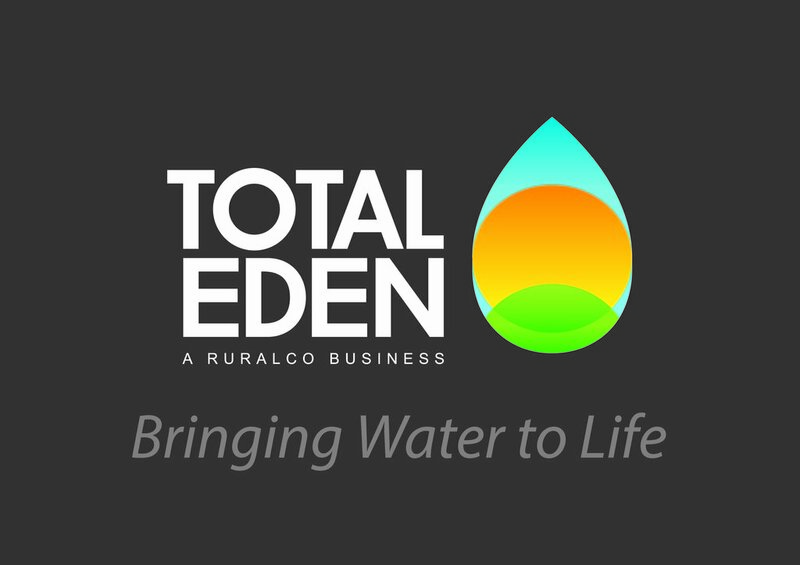 His design represents the Swan River, a significant feature to the Noongar people. The Symbols on the outside represent South Fremantle as the main meeting place where people come to play. Claremont's jumper has been designed by current player James Egan. The Wyndham-native created the design that features paintings of campsites inside the gold sash representing a journey. He reflects that back to the Tigers' own steps away from Claremont Oval in recent years. There will be a special Welcome to Country for the colts match to be conducted by Shaun Nannup, who will also make a presentation at the President’s Luncheon. A busy Richard Walley will also head to the Port to conduct his own Welcome to Country before the league match. 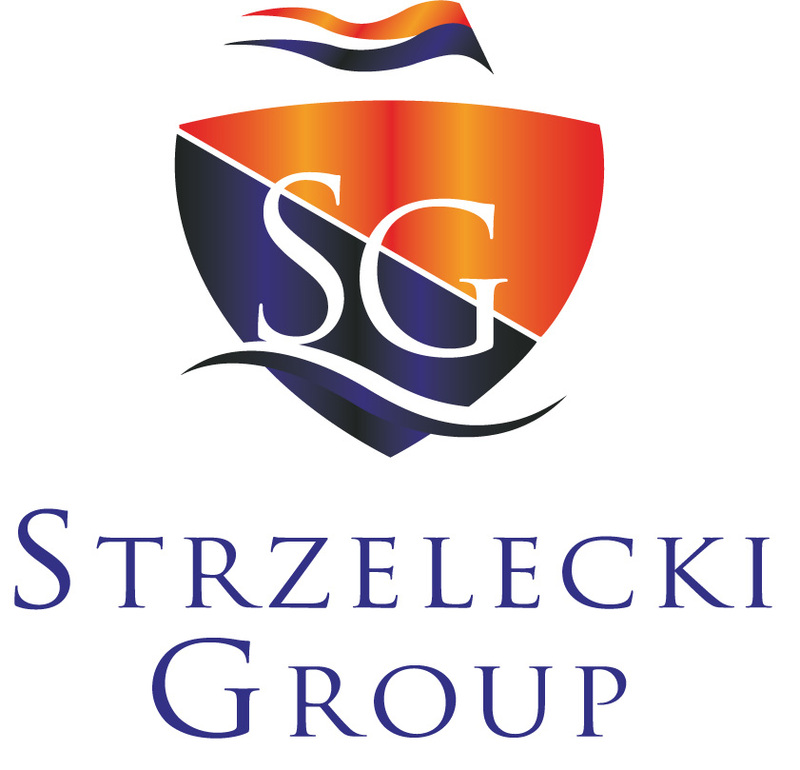 During the half-time break traditional Indigenous games will be held by members of the Stephen Michael Foundation and Nyoongar Wellbeing and Sports. South Fremantle and Claremont have set the standard in the WAFL with NAIDOC celebrations largely because of the Indigenous players historically who have come through their ranks, including Stephen Michael, Wally, Phil and Peter Matera, Jeff Farmer, Maurice Rioli, Nicky Winmar (South Fremantle), and Jim and Phil Krakouer, Irwin Lewis and son Chris (Claremont). South Fremantle continues to be a favoured home for Indigenous talent with the likes of Marlion Pickett, Matthew Parker, Steven Edwards, Josh Collard and Clinton Yarran in the senior squad. Claremont also continues to blood plenty of young Indigenous talent with the likes of Keifer Yu, Nick Winmar, James Egan and Shaquille Morton in their senior group. The Bulldogs and Tigers have now met in NAIDOC Week clashes each year since beginning the concept in 2007. Claremont won that first clash at Fremantle Community Bank Oval but South Fremantle was represented by Keith Pickett, Keren Ugle, Tommy Corbett-Wynne and Peter Narkle. 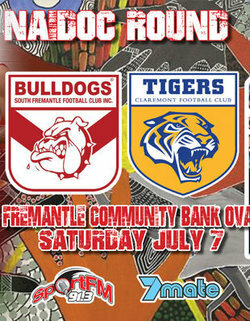 The Tigers again won by 10 points in 2008 again at Fremantle Oval with Ugle and Shane Tipuamantamerri playing for the Bulldogs before South Fremantle thumped Claremont at the port in 2009 by 78 points. Ugle, Jeff Farmer and Toby McGrath played that day for South Fremantle with Jayden Woods lining up for Claremont. Claremont got back to the winner's list in 2010 winning by 27 points with McGrath representing South Fremantle and Jarrod Ninyette lining up for the Tigers. It was played at Claremont Oval in 2011 with the Tigers winning a thriller by three points with Alroy Gilligan and Gerrick Weedon playing for Claremont, and Woods and McGrath for South Fremantle. Claremont also won by 55 points in 2012 at Claremont Oval with Weeden playing for the Tigers and Woods and Jordan Wilson-King for the Bulldogs. It was another thrilling contest at Fremantle Oval in 2013 with Claremont beating South Fremantle 13.16 (94) to 14.6 (90). Winmar had 15 possessions for the Tigers while Tim Kelly impressed for South Fremantle with 18 disposals and a goal with Kaiden Matera and Jacob Martinez also playing. The 2014 edition of the annual contest took place at the Claremont Showground with the Tigers winning by 22 points on a day where Toby Bairstow played his 100th game for the Bulldogs but injuries to the likes of Ryan Cook, Adam Guglielmana and Ashton Hams proved costly. Martinez was one of the best players on the ground for South Fremantle with 23 possessions, 10 marks and seven inside-50 entries. Then in 2015 against the Claremont Showground, it was Claremont who held off a fast-finishing South Fremantle to win 9.10 (64) to 8.12 (60) with the Tigers making it seven of eight wins in the NAIDOC Round battles over the Bulldogs. Francis Watson played for Claremont and finished with 15 possessions and five tackles while Kelly, Martinez, Marlion Pickett and Traye Bennell were all out there for South Fremantle. Claremont again won in 2016 by 31 points at the port with Keifer Yu and Gerrick Weedon making good contributions against a South Fremantle team featuring Steven Edwards, Martinez, Pickett and Kelly. Then last year, South Fremantle finally ended its run of outs on NAIDOC Round winning by 25 points at Claremont Oval with Kelly, Edwards and Pickett outstanding against a Tigers outfit featuring Yu, Winmar and Chris Oakley. 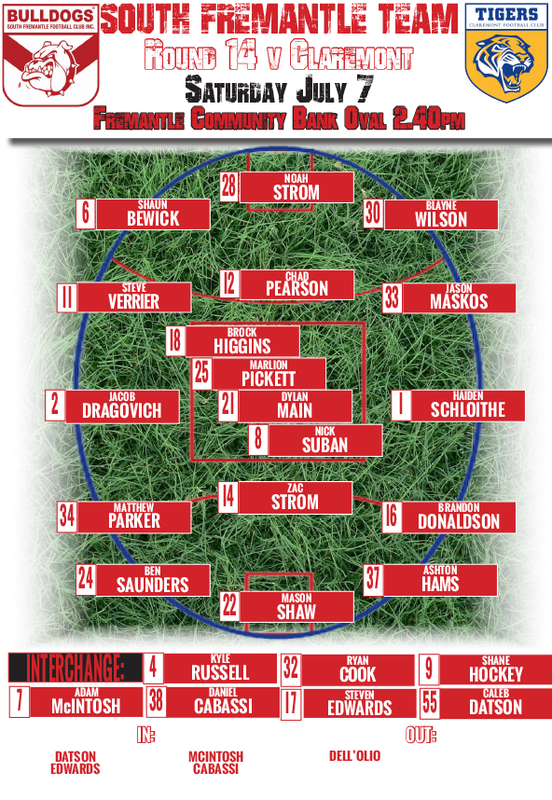 South Fremantle scored a solid 21-point win over East Perth last Saturday and from that team, Caleb Datson, Steven Edwards, Adam McIntosh and Daniel Cabassi have been added to the squad to take on Claremont at Fremantle Community Bank Oval. Cory Dell'Olio is the only out at this stage having kicked 19 goals in seven matches in 2018. Claremont have added Jeremy Goddard, Jack Lewsey and Jacob Sideris to its squad that beat East Fremantle last Saturday while losing Haydn Busher to injury.